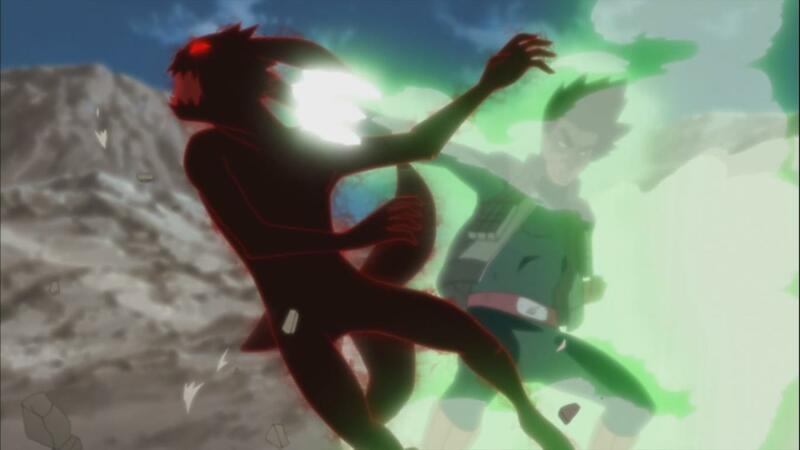 Naruto Shippuden 293, the rampage goes on as Naruto’s Clone has transformed, reinforcement arrives to take care of the clone, but the clone itself takes Kurama’s powers to become large and destroy everything in its path. We also take a quick peak at the Saezuri as the chief of the village shows Dokku, it seems as though he’s betrayed Dokku and wants to treasure there. Naruto Shippuden 293 begins as the clone keeps on shouting, Kabuto tries to activate the tag within the Kurama Clone but it just breaks, the clones next target is Dokku and the kids, as he gets closer, Guy and Lee arrive to kick the clone back. 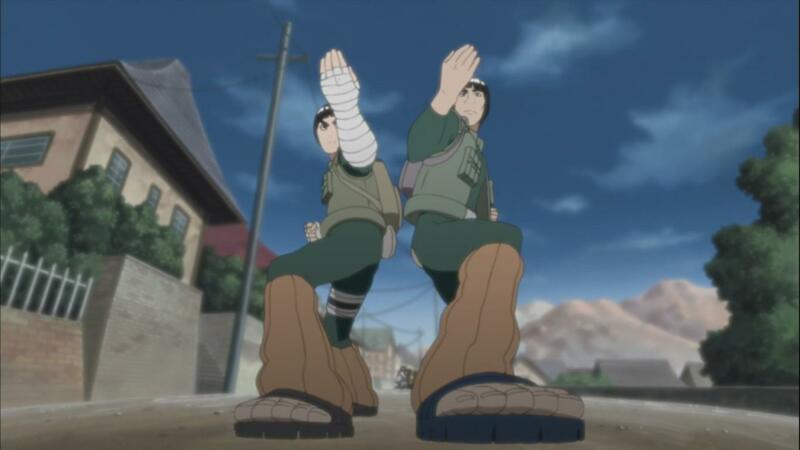 Lee and Guy are told by Kakashi that it’s not Naruto but he’s clone who’s been formed by Orochimaru’s snakes. Out of nowhere, Kabuto’s attacked but after moving a little quicker, he escapes any real danger when Shikamaru’s shadow mimic tries to get him, he jumps over buildings as Shikamaru tries to get him, unfortunately for Shikamaru, it doesn’t work as Kabuto is just to quick. Kakashi goes to fight Kabuto. Kabuto brings a lot of his Edo Tensei to fight the reinforcements. The clone first attacks Lee, then tries to get Guy but cannot. Everyone else keeps on fighting their opponents. Lee and Guy keep on fighting when they are both attacked. At this point, Guy tells Lee that it’s time, they both open their gates and quickly start boosting themselves to attack Kurama’s clone. The clone quickly gets pissed and finds Naruto, it looks for him when Hinata stand in the middle of Naruto and the clone. Hinata is pushed away when Neji helps her. The clone asks Kurama for more power, fortunately it looks like Kurama gives him the power. Kakashi notices from far away that the clone is getting much larger! Everyone notices whats going on, they all start running away. 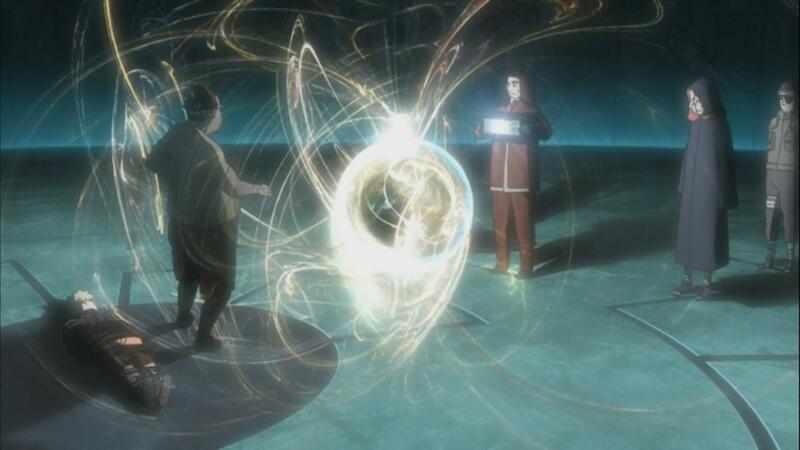 The clone even manages to get a Bijuu Dama going where it nearly gets an attack on Sai and Yamato. The kids and Dokku start to run away, Kakashi and the others start to help and save everyone. Kurama’s clone starts to go on a rampage. At the same time, the kids are running away, Mina notices Naruto, Dokku goes to help him when the Clone gets near, they are unable to help when Kurama’s clone goes to crush them with his feet, fortunately Kabuto looks after them as he uses his snakes to help Dokku and Naruto escape. The end of the village has come, Hinata and the others are trying to help everyone else out. Kakashi notices the chief’s desk is missing a few things. Kakashi and the others figure out that Naruto and Dokku could have been taken by Kabuto. Naruto wakes up when Dokku tries to help him. When he does so, snakes appear, the snakes are trying to hold Naruto in place. The clone was said to go back to his smaller size and taken by Kabuto’s snake also. Shiseru is talking to Sakura about what’s just happened. She cares deeply about Dokku and the kids, the kids have been put at her house, they all start to cry because of what’s just happened. Kurama starts to get Naruto to accept and open the seal, it starts to work when his chakra is signing the seal to open it. Naruto hears Minato’s voice, he wakes up to see Dokku, at the same time, Kurama surfaces and scares Dokku, he says sorry about whats happened. Shiseru remembers what had happened when she slapped Mina. Dokku leaves her to sleep, he goes to the bed room where she is upset that she slapped her, Dokku tells her she did so because she cares about her. The kids listen in their conversation, Dokku mentions that it’ll be better if the chief just takes the kids. Shiseru mentions that it’ll be better if somehow they could all be better and take care of all the kids, especially if there was someone there as a father figure, she mentions that Dokku could be there. Shiseru holds his hands and starts to get closer to kiss him. They both get closer and closer when Dokku stops whats going to happen, Shiseru accepts that he can still be his brother. Shiseru mentions what happened when they were small, Dokku gets upset and tells Shiseru that what happened made sure that she would never have any children. We return to the norm. Naruto apologizes to Dokku saying that it’s all his fault for what happened. Dokku mentions that it’s not him because he was used, Kurama surfaces again when Dokku asks Naruto why he wanted more power. Kakashi and Sakura are going back to the hole, Shiseru asks if she can come with them, Kakashi agrees. Naruto tells Dokku that he wanted to do it because of his friends, he wanted to protect anyone close to him, this is why he’s tried so hard. At this point, Minato appears and helps Naruto by undoing the seal. He return to normal when Dokku tells him that he believes in him! Leo proposes that they should go to save Dokku, the kids are uncertain about this but they come around when he mentions that without his help they wouldn’t be anywhere. Mina also has the silver objects which they’re looking for. Mina agrees to come and help, they all try to go to the Hole to save Dokku. Back where Naruto and Dokku are, Kabuto comes in with three other people, two of which are Edo Tensei’s and the other is the chief of the other village. He appears with angered face saying that it could have all gone down without the government getting involved. He brings a scroll which he opens, it says Saezuri, it appears with lots of bright colours, Dokku is shocked at this, it starts to form when Naruto Shippuden 293 ends here. 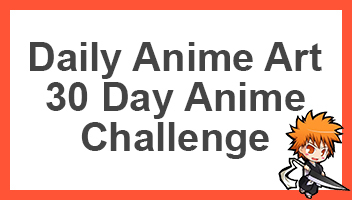 Another great episode to the amazing series of this filler. Hopefully it’ll end soon so we could return to the war in no time. 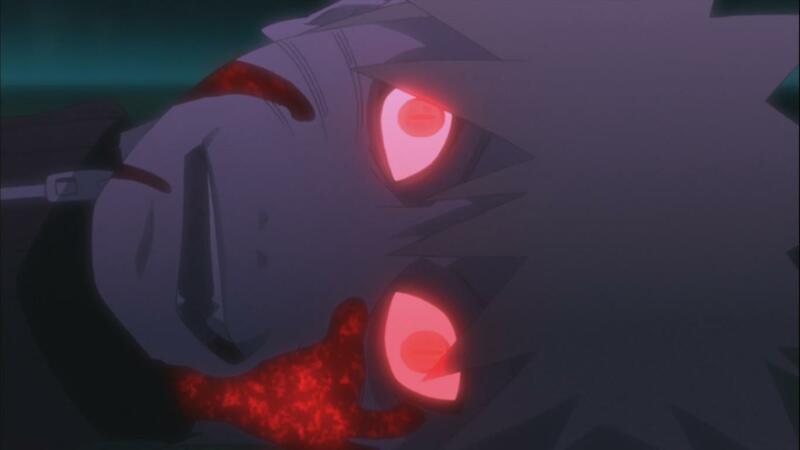 Plus can’t wait for next week’s Naruto Shippuden 294, titled “Power – Episode 5”, when the Saezuri activates with the Ama no Hoko! Wait, I’m very confused. Did I miss something? Is she in love with her brother or is that like a surrogate brother?